The Franco-African group Eranove and the Gabonese Strategic Investment Fund (FGIS) have signed a series of agreements with the Government of Gabon. The agreement covers the production of drinking water for the capital Libreville and energy from two hydroelectric power plants. Facing difficulties with its subsidiary, the Senegalese Water Company (SDE), Eranove needed some good news. The Franco-African group Eranove the Gabonese Strategic Investment Fund (FGIS) both partners since March 2017 has just concluded an agreement with the government on two points: drinking water and energy. Eranove and FGIS will build a drinking-water production plant in the department of Komo-Kango, in western Gabon. The station will have a production capacity of 140,000 m3. 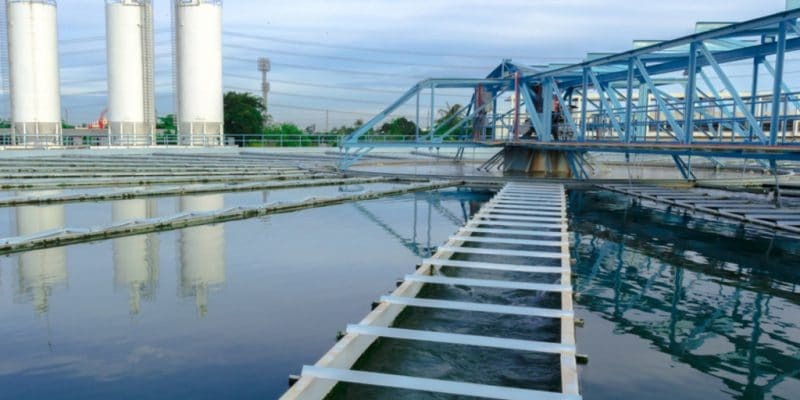 The water produced will be used to supply the populations of Libreville, the capital and the two actors involved in the project estimate that 600,000 people will be reached. The agreement signed with the government also includes a component on the operation and maintenance of the facilities. The other part of the cooperation will focus on electricity generation. The partners will finance, design, build and maintain two hydroelectric power plants. These include the Ngoulmendjim hydroelectric power plant, which will have a capacity of 73 MW. It will be built on the Komo River in the Estuary province. The works, which are scheduled to start in the first quarter of 2019, are being carried out by Asokh Energy, a project company. On the other hand, it is Louétsi Hydro that is responsible for the Dibwangui hydroelectric project. It is a project that will eventually produce 15 MW. The dam will be built on the Louétsi River in southern Gabon. The agreement signed by Jean-Marie Ogandaga, the Gabonese Minister of Economy, Patrick Edzang Eyogho, Minister of Water and Energy, and the heads of Eranove and FGIS, provides that the Gabonese General Electricity Company (CGE) will purchase the energy produced by the two plants. According to the Ministry of Water and Energy, the two dams will serve an estimated population of 500,000 people in four provinces of Gabon. “The urgency of implementing this important project is justified by the need to develop new means of production to secure the supply of electricity and ensure the continuity and quality of service in the provinces of Estuary, Moyen-Ogooué, Ngounié and Nyanga,” explains Minister Patrick Edzang Eyogho. The State has also signed a 30-year partnership with Asonha Energie, a Gabonese company owned by FGIS and the French Meridiam group, to develop the Kinguélé Aval hydroelectric power plant in the western province of the Estuary. With a maximum capacity of 57 MW and built on the Mbei River, it is located downstream of the two existing hydroelectric power plants, namely Tchimbélé and Kinguélé.